Can anyone tell us when the Castlelyons and Bridesbridge Heritage and Tidy Towns Group was formed. 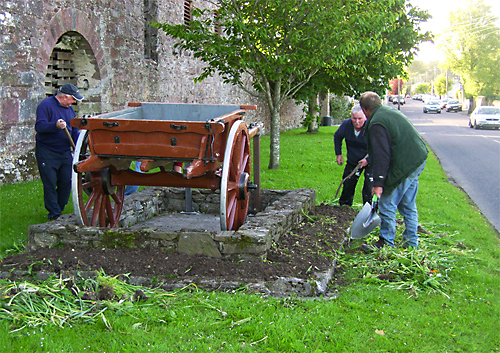 We do know that in 1986 a number of people from the Parish got together to give the village a facelift by painting a derelict row of houses and that this cleanup work continued. 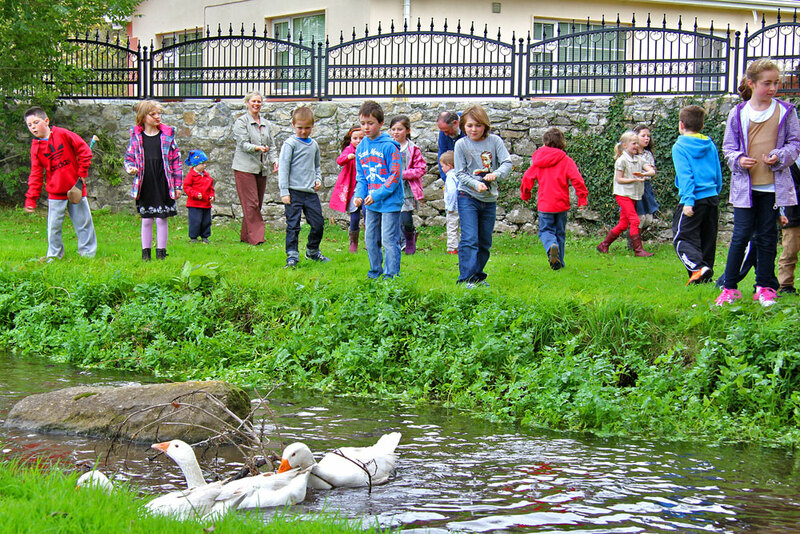 Over the past 21 year the group has contributed and helped to create the many public areas such as the Village Park, the Bridesbridge Picnic Park and the Bird Sanctuary. 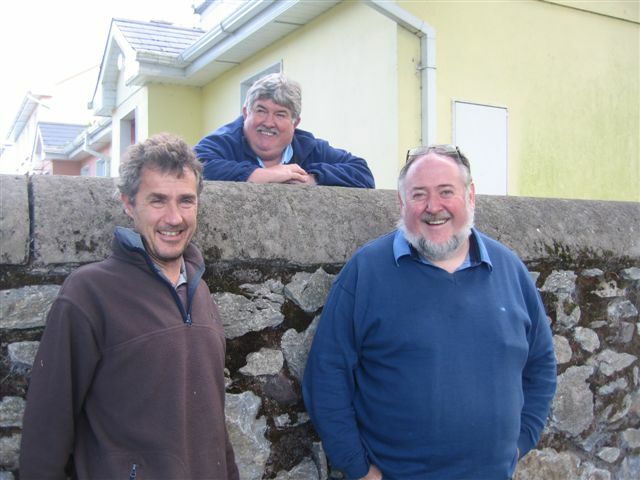 The villages are enhanced all year round with tree planting, the planting of shrubs, flower banks, flower beds, flower tubs and the addition of seating. 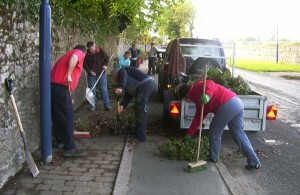 We encourage people to pick up litter, keep their own foreground tidy and help out with problems when necessary. The Carmelite Abbey, Barrymore Castle, Barrymore mausoleum and limekilns in the villages are just a few of the many Archaeological Monuments we help to promote by conservation, signage, information boards and village tours by local archaeologists and historians. As an ‘Architectural Conservation Area’ we hope to promote the village to a much wider audience. 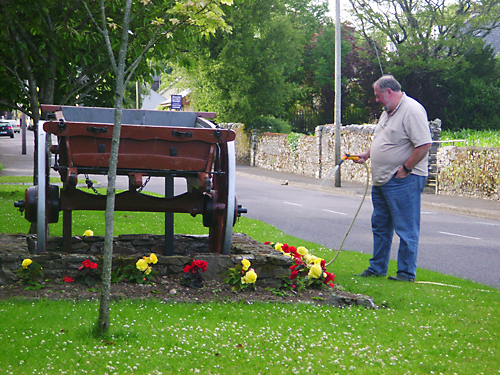 As a result of our efforts this is not only a much more pleasant and brighter place to live, but we have also helped to give people a sense of pride in their village. • Cleaning and painting of seating, signage etc. • Bronze Oval plaques highlight heritage, cast iron name plates have been added for various features including bridges, street signage. • The Heritage Trail information panel at Kill-Saint Anne graveyard in conjunction with Blackwater Resource Development. 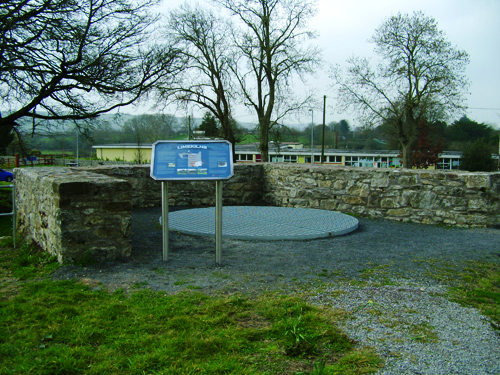 • The River of Time information panel at the Bridesbridge Picnic Park in conjunction with Blackwater Resource Development. • We enter the Cork County Council Litter Challenge competition and the Muintir na Tire Amenity Project and the National Tidy Towns Competitions each year. • Addition of flower beds, tubs, seating and a beech hedge at Kill Saint Anne Graveyard. 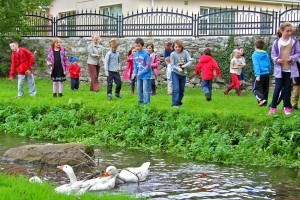 • NEW Wildlife Project – Introducing Mallard Ducks and Embden Geese into the Village park October 2011. 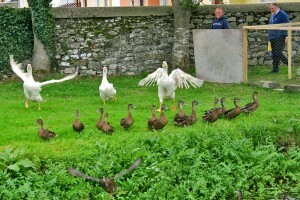 • Working in tandem with the farmers to create a Bird Sanctuary on Abbey Lane. • A pair of Peregrine Falcons (Fabhcún gorm) can be seen circling the chimney stacks of Barrymore Castle. ‘Perhaps our most majestic bird of prey…. The Peregrine population has recovered from a long term decrease which almost exterminated it in the 1960’s, when the numbers of breeding pairs may have dropped to less that 20 from a possible 150.’ D’Arcy Gordon 1981 ‘The Guide to the Birds of Ireland’, Irish Wildlife Publications, Dublin.